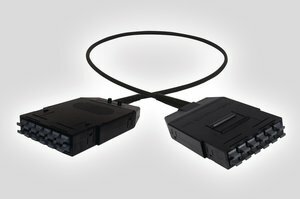 Description The RapidNet MTP VHD Cassette to Cassette is pre-terminated with each cassette presenting twelve 12 core MTP connectors, which enables up to 576 fibres in 1U of rack space, with 4 cassettes fitting into a RapidNet Panel. The RapidNet MTP VHD solution has been designed to meet the demands of the data centre by providing reduced installation times, efficient use of space, flexible configurations and high performance. This high density fibre solution is particularly suited to use in Storage Area Network (SAN) applications. 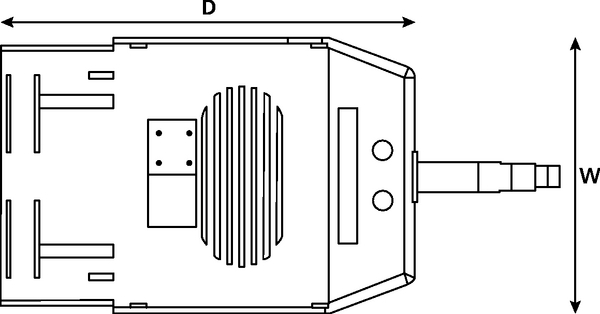 Technical Description The use of high performance low loss Elite® MTP connectors from US Conec as standard minimises losses across the link and provides a potential upgrade path from 10G through to 40G and 100G. The cassette is manufactured with a single push clip mechanism and polarising clips to prevent incorrect insertion. Fibre Optic management is provided within the RapidNet Cassette with integral strain relief which provides protection to all the cables and their terminations. The individual fibres within the cassette are managed using positive bend radius management to ensure minimum losses and maximum performance. All RapidNet terminations are tested to exceed the latest published versions of ISO/IEC 11801, BS/EN50173 and ANSI/TIA/EIA 568 – C standards. NB. Part Numbers given are for a 10m loom as an example. Other lengths are available on request that meet the maximum distance performances defined in the latest published versions of ISO/IEC 11801, BS/EN50173 and ANSI/TIA/EIA 568 – C.